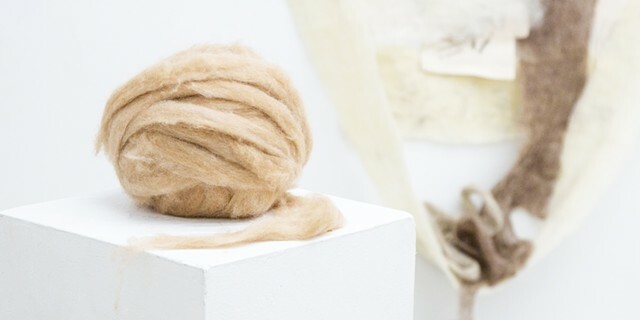 The pieces were created in the period between 2011 and 2017, beginning with my travel to the Ozark mountains, where I learned about and gathered unprocessed wool (roving) from small family sheep farms. 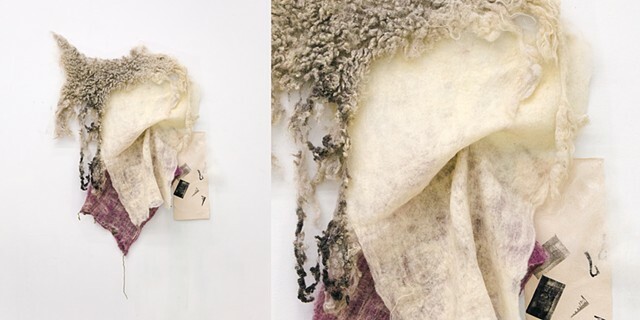 In particular, two female shepherds provided the majority of materials used in this work. 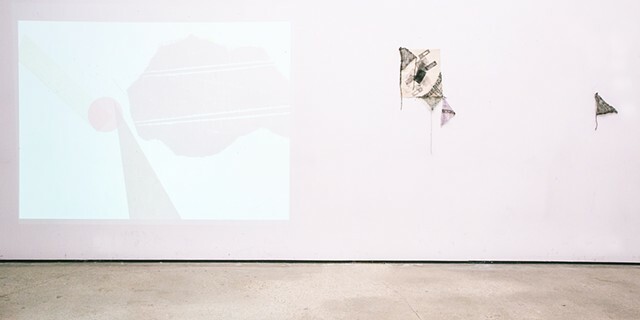 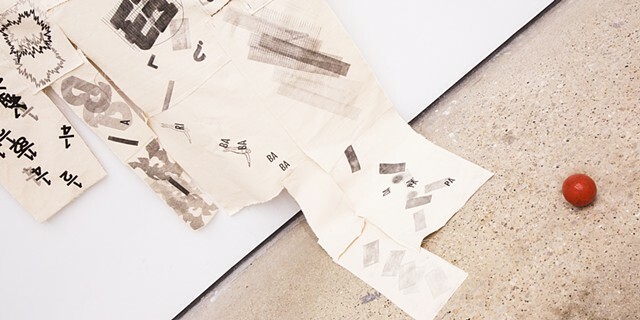 The series relies on communication through abstraction, examining the inherent meaning of material, it's relationship to semiotics of image and the content of typographic form. 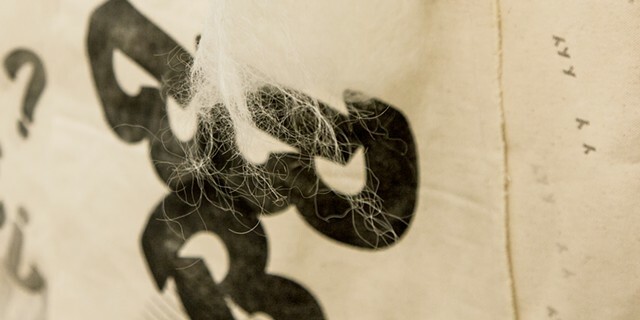 Typefaces such as Balloon, a brush script typeface designed in 1939 that was commonly used for display purposes, are printed on canvas using wood type letterpress printing. 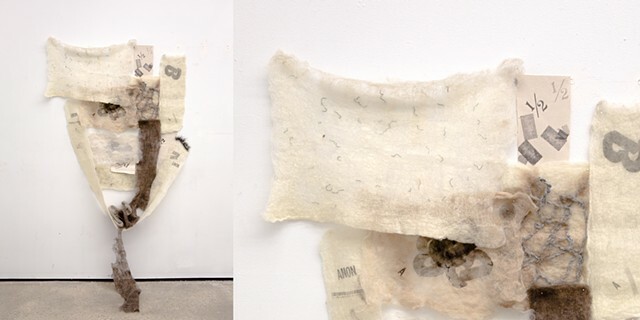 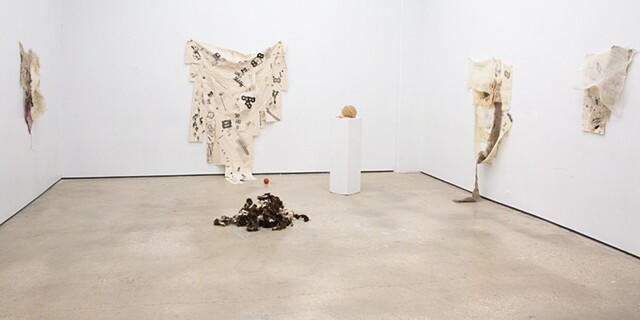 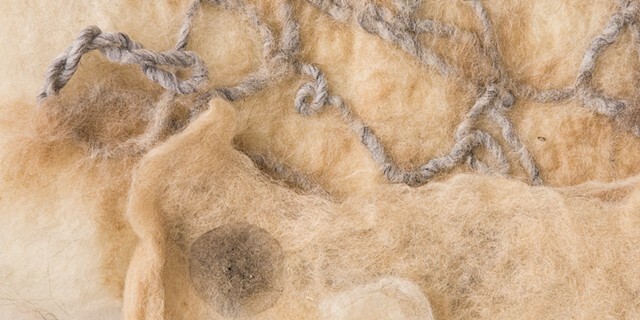 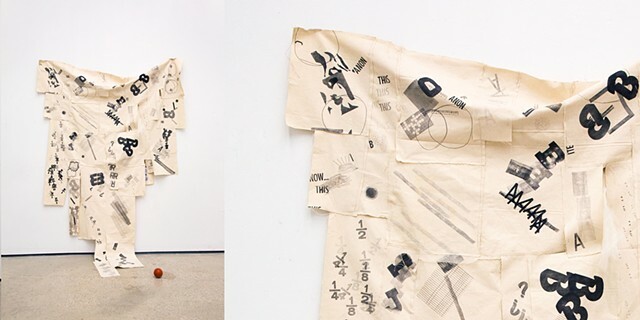 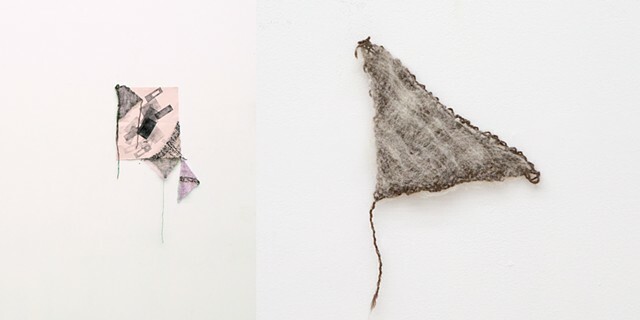 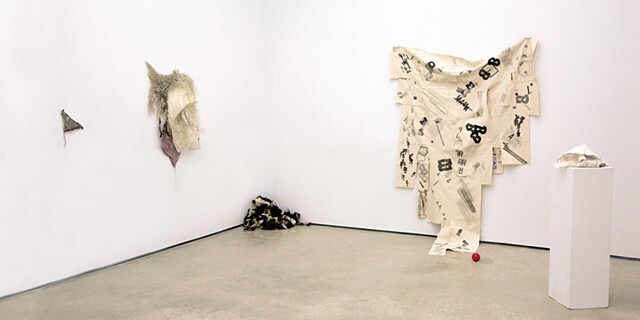 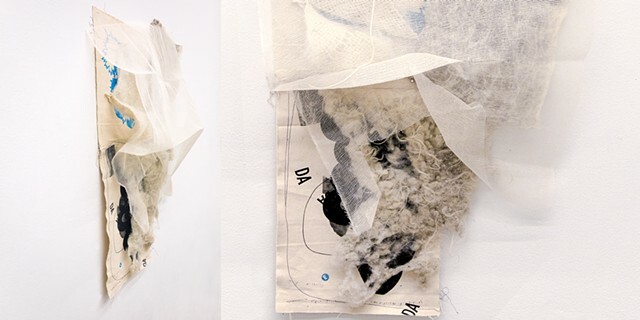 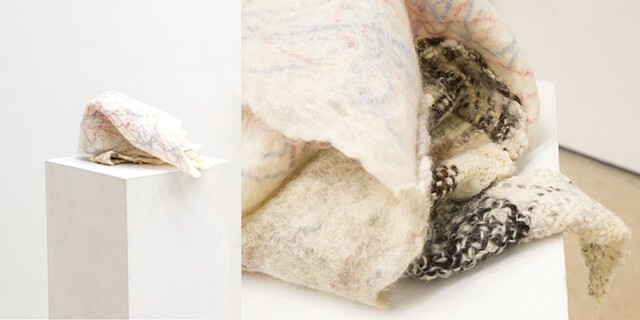 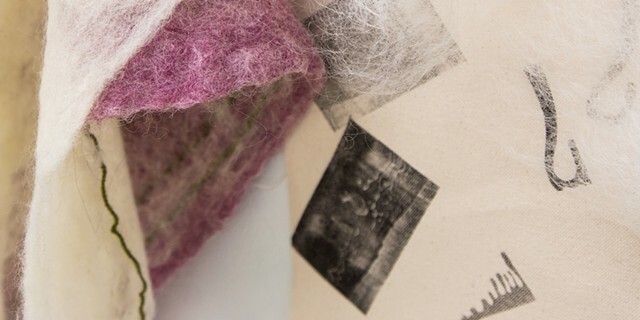 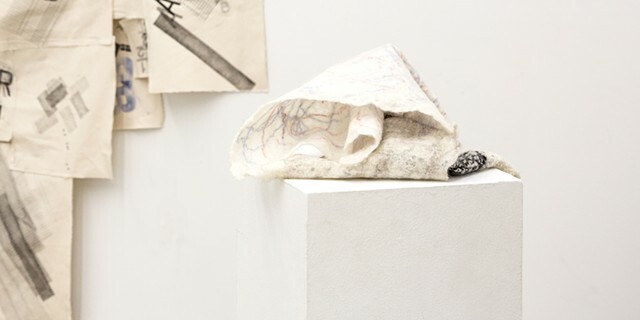 By juxtaposing the hand-treated fiber with typographic form, I draw connections between language and material, labor and landscape, and the cultural production of value and meaning.